Written by me, DeeAnn Visk, this article was originally published by the Oxbridge Biotech Roundtable (OBR) Review in April 2013–the following is an excerpt from that article, based on a science writing talk sponsored by ORT given by Lynne Friedmann. An active voice lends more simplicity, energy, and directness to prose (resume writing, anyone?). Scientists are encouraged to write in a passive voice making for clunkier, longer, and vague prose. 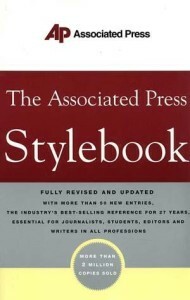 Style guides shepherd writers through the nuts and bolts of writing, addressing questions such as what to capitalize, where commas should go, grammar questions, etc. Individual journals may have their own style guides; be cognizant of the rules for the organization for which you are writing—even Wikipedia has a style guide. Publications/blogs may or may not care; develop good habits now. In the future, you will need to keep an editor happy; they do not want to look dumb. Editors comparing two equivalent papers choose the one with the least editing required. Treat your writing time like an appointment until it becomes a habit. For those of you with difficulty starting, just begin. Fire your internal editor, ignore grammar, spelling, and punctuation—just get the ideas down on paper. Stuck on the next word? Just write “XXXXX”. Keep the flow going. Write down your first draft as fast as possible. Reduce why you are writing something to one sentence: I want my manager to approve my budget. Write it on a piece of paper and hang it where you can see it. Refer to it while writing. Information without context is useless—do ideas support my goal? As Mark Twain said “never use a $5 word when a 50 cent one will do.” Deliver information that can entertain people, the story behind the research, interject patient stories, trying to solve puzzles, and mysteries. Work in something about the process of science, one piece of information in a continuum. Be clear: do not overload opening sentence; go from general to specific. You want the reader to hold your hand and never let go. Allow readers to see and feel the experience by using descriptive and specific sensory language. Describe so that writer can see how it is a break through. As Friedmann stated tongue-in cheek, “The ‘missing link’ has been found so many times, how could any possibly still be lost?” Other worn clichés include: shedding light, the holy grail, the silver bullet, and paradigms shifting. Don’t these just make your eyes glaze over? Or do you find yourself grinding your teeth in irritation instead? Compose your copy well ahead of the deadline. Don’t look at it for a day or two, then come back and eliminate the first paragraph or two. Test your copy during revision. Print it out—difficult to proof on-screen. Go to a different physical space; get up walk around, read it aloud. Are you bored? Confused? After each sentence, ask yourself “so what”? Get rid of sentences that begin with “Th” words: the, this, they. Each time you read a sentence remove one word, and see if the sentence still conveys the meaning. You are on the right track when “sentences shrivel like bacon in a pan”. Proof read copy backwards to find typos. Professional organizations offer seminars and job leads. A good resource is the National Association of Science Writers. Environmental journalists normally find themselves evolving into activist (not just merely reporters), issuing calls to action. If you are thinking about becoming one, look at the Society of Environmental Journalist. The American Medical Writers Association holds great conferences and workshops. Check out their websites for hints on the craft of writing. Consider writing for various organizations such as your school’s alumni magazine, Roundtable Review (a blog hosted by ORT), MIT Technology review. Both academic and industry grants require excellent writing—volunteer to help. Many websites need content/blog writers; begin by offering to write for free. Keep your inner defensive monster in the cage. Take a deep breath and relax. You must respond well to correction, if you want people to continue giving it to you. Feedback is a gift, assisting you to improve your writing. Thank whoever is taking time to give you feedback; try incorporating their suggestions into your writing. This entry was posted in Science Writing and tagged DeeAnn Visk, Lynne Friedmann, Oxbridge Roundtable, science writing on May 28, 2013 by admin. Last paragraph needs to be removed or relocated. Interesting. I’d like to learn more especially how these factors integrate mentally as well as physically to change our species….. It is very interesting to think about how it would be to have half your brain with one set of DNA and half your brain with another set. Let’s write a grant to do a study and see if people with two different color eyes are more creative!